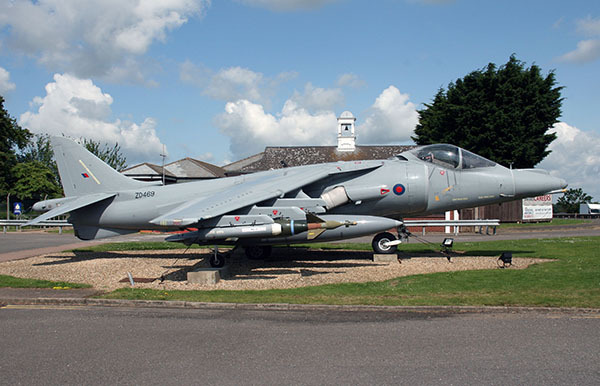 RAF Wittering is one of the RAF's oldest flying stations and dates back to 1916, and has played a prominent part in the development of our air power over the years. Wittering in the jet age was the home to all three types of jet aircraft from the V Force. The Valiant, Vulcan and Victor. Over the years these aircraft were used by the nuclear reaction force. With two nuclear armed aircraft permanently on fifteen minutes readiness to take off. If the aircraft were manned they could be airborne in thirty seconds. Wittering is well known by the title, The Home of the Harrier. With No. 1 Squadron arriving in August 1969. No. 1 Squadron in fact left Wittering in 2000 in a short move over to Cottesmore, leaving 20 R Squadron at Wittering in the training role.